In this 2018 interview Sandi Cooper, history professor emerita, reflects on her six decade-long involvement with the university, its students, and the faculty senate. 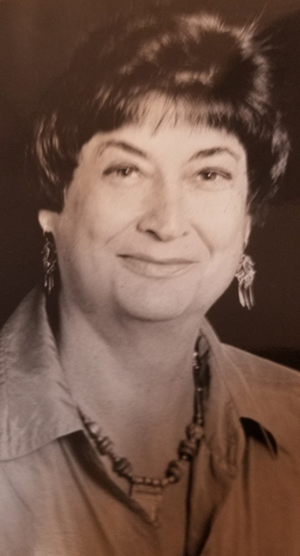 Cooper, whose research specialty focuses on peace studies, spent the majority of her academic career at the College of Staten Island and the CUNY Graduate Center. From 1975 until her retirement in 2015, she served on the University Faculty Senate, assuming an active role in fighting for the betterment of the university. Cooper chaired the senate from 1994 to 1998. This interview was conducted on May 1, 2018 by Andrea Vásquez and Gerald Markowitz. Among the many topics covered in this interview are the early days of Richmond College—a precursor to the College of Staten Island—and its experimental curriculum and faculty governance; Cooper’s experience as a woman in academia; open admissions and the fiscal crisis of the 1970s; her experience as chair of the University Faculty Senate; her participation in the Professional Staff Congress; 1990s battles with City Hall and CUNY leadership; and the introduction and implementation of the Pathways Program in the 2010s. Cite This document | Vasquez, Andrea, “Oral History Interview with Sandi Cooper,” CUNY Digital History Archive, accessed April 24, 2019, http://cdha.cuny.edu/items/show/8402.